Submissions for the 2017 Serious Games Showcase & Challenge open on August 1, and will remain open until September 18. This year, all applicants are required to submit an “intent to submit” form by September 15 to ensure that the committee is adequately prepared to accept each game’s materials. The committee will announce the finalists on October 16, and those finalists will be showcasing their games in the SGS&C booth at the 2017 International/Interservice Training, Simulation and Education Conference (I/ITSEC), November 27-30. As in previous years, awards will be given to the best games developed in the student, government and industry categories. 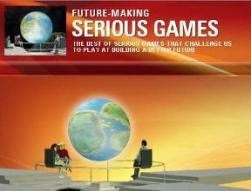 Last year, the Innovation Award was introduced, which is given by the SGS&C committee when they feel that there has been exemplary use of innovation in a “Serious Game”. Last year’s committee recognized two games with the Innovation Award: ADAPT-MP by Design Interactive, Inc. and Limbitless Training Games by University of Central Florida. But for the first time, as they are looking to mirror current trends and needs, Serious Games Showcase and Challenge is encouraging submission of learning games using augmented reality (AR), virtual reality (VR) and mixed reality (MR) approaches. “We are excited to explore these enhanced games and look forward to seeing many of the creative uses for AR, VR and MR in this year’s group of submissions,” McNamara said. 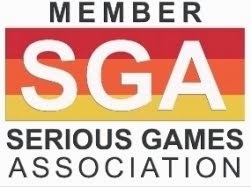 SGS&C was born in 2005 when Team Orlando leaders felt a strong need to stimulate industry creativity and generate institutional interest toward the use of digital game technology and approaches for training and education. They formed a partnership with the National Training Simulation and Association (NTSA), the organizers of Interservice/Industry Training, Simulation and Education Conference (I/ITSEC), and the first SGS&C was born at I/ITSEC 2006. From there, the SGS&C team grew into a volunteer-driven group, led each year by both an industry and government representative, and actively supported by Team Orlando. SGS&C has been a growing staple of I/ITSEC event ever since.